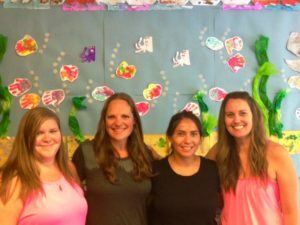 Our Early Childhood Educators, also trained in First Aid, are dedicated individuals with varying educational backgrounds. All teachers are hired based on educational requirements, positive references, related child care education and experience, and criminal records review. We are proud to work with this amazing group and are confident that their educational backgrounds and varied personal experiences will provide a stimulating, well-rounded, and developmentally appropriate curriculum for your children. Looking to join our team? Please click on this employment link. Sarah McSeveney Scholarship Fund Makes Annual Grants to Promote Early Childhood Education in Memory of Local Teacher.